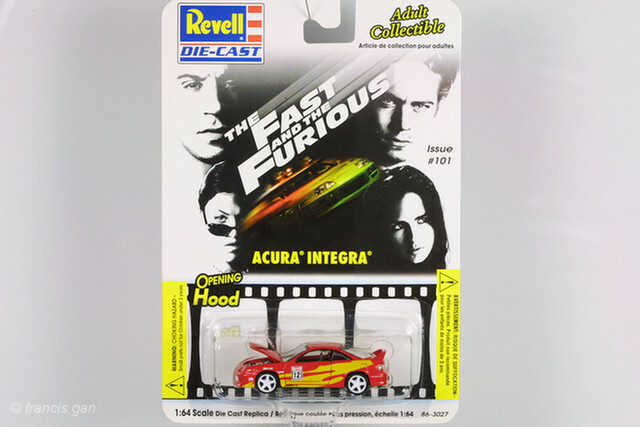 Revell released a number of Civics and Integras in a few different series before the Fast and Furious series became popular. 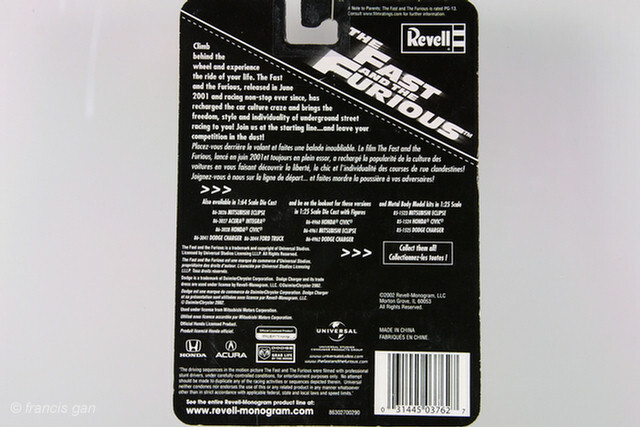 The Revell versions, compared to the Racing Champions ones that look similar, have opening hoods with detailed engine bays. 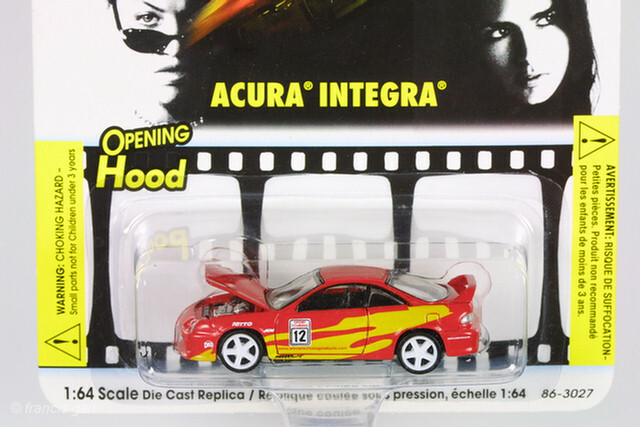 '95 Integra (86-3330) from the Hot Hatch Euros series in apple green with characters on side in addition to sponsor decals and 5 spoke white aftermarket wheels. '95 Integra (86-3317) from the Hot Hatch Euros series in dark blue and 5 spoke chromed aftermarket wheels. 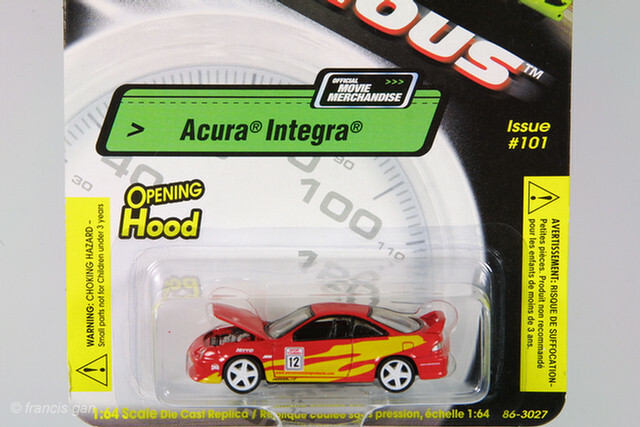 '95 Integra (86-3316) from the Hot Hatch Euros series in yellow with blue and black graphics on side in addition to sponsor decals and 5 spoke chromed aftermarket wheels. The series also has a Civic (86-3318). 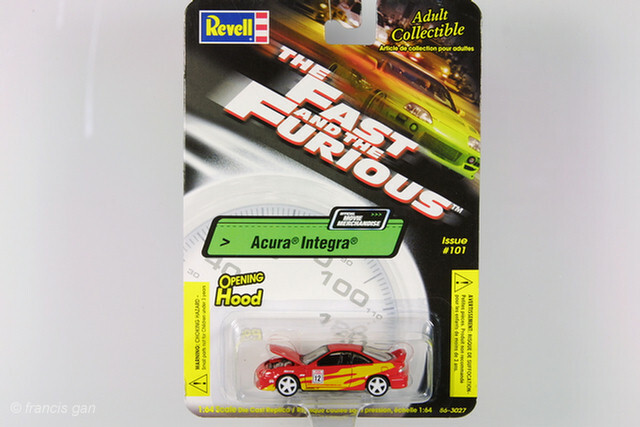 '00 Integra R (86-3397) from the regular series in yellow with a charcoal interior and stock wheels.